I was so excited when I received a package from my contact at Universal Music two weeks ago, which included the new NOW Christmas CD (which I shared a review last week on my blog), as they also included the new Sinatra Ultimate Christmas CD, which released back on October 6th. I am a huge Frank Sinatra fan and love listening to his CD's. I had made a point to add this new holiday CD to my wish list for my husband, when I first heard back in September that it was releasing. I own many Sinatra CD's, but have to say that this CD is my favorite by far. Yes, I am a sucker for holiday music. But, pair it with my favorite singer of all time, and it becomes an instant hit with me. :-) As I am writing this and other blog posts tonight I have been listening and singing along to this new CD. And, earlier this afternoon while the girls and I were putting up the Christmas tree, Frank was singing to us in the background. I loved when the Jingle Bells song came on, and the girls started singing along with me. So, if you love Christmas music or are a fan of Sinatra like me, you will definitely want to pick up Sinatra Ultimate Christmas, available now, to enjoy with your family as you start to get into the holiday spirit. 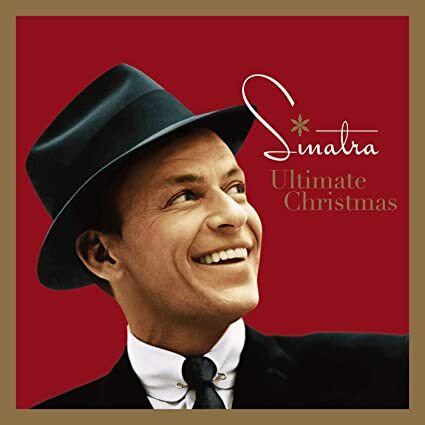 The Sinatra Ultimate Christmas collection is now available in CD, digital, and 180-gram 2-LP black vinyl editions, as well as a limited 2-LP white vinyl edition exclusively offered on the Sinatra Store and Universal’s web store, UDiscover Music.